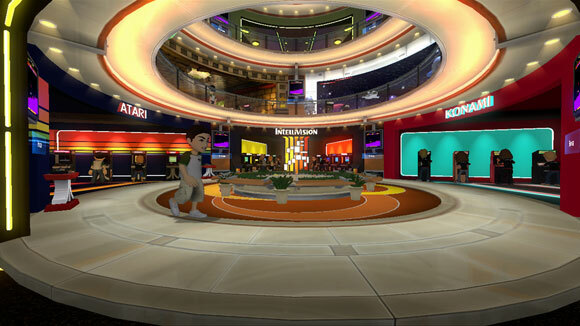 At CES, Microsoft revealed the Xbox Game Room, where friends could replicate the arcade experience, only with Avatars. The free download (for Xbox Live Gold users) allows players to have their own arcade, but of course, the games are anything but free. Since this is a service being offered for the PC and Xbox Live, 400 MS Points ($5) grants a dual-platform license for one game (for play on Xbox 360 and PC), 240 MS Points ($3) gets you an arcade cabinet for one or the other, or for those seeing a true experience, 40 MS Points ($0.50) for two individual plays. Many of the launch games were never actually in the arcades back in the ’80s, including Adventure, an Atari 2600 title, or Space Armada, an Intellivision Space Invaders knock-off. Title’s from the early libraries of Activision and Konami will be included as well. It should be noted that many of these games are free to play online already (legally). Charging $3 is harsh to say the least, with the ability to own virtual arcade cabinets worth more than the games themselves. The concept is there, but certainly not the pricing.